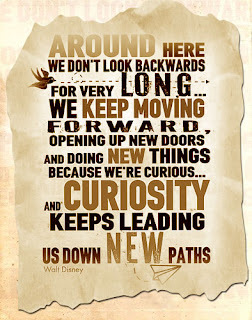 Another hectic week has flown by which means we are ready for a quick look back at the pixie dusted blog postulations posted this past week. We even have a video retrospective before we take a look at what's coming up next week here on Focused on the Magic. As promised a video retrospective of The Magic Kingdom Construction. This is best viewed in full screen. This week is International Hollywood Studios Awareness Week, an annual event hosted by StudiosCentral.com. I thought it would be fun to show our support and join in on the fun celebration of all things Disney's Hollywood Studios! Be sure to add the hashtag #DHSawareness when you Tweet your blog posts. Next week's theme (6/20) will be Mickey Mouse. Wondering how you can join in on the blog hop fun? ►Get your flashbacks ready for next Friday, it will be the last Photo Flashback Friday till fall. 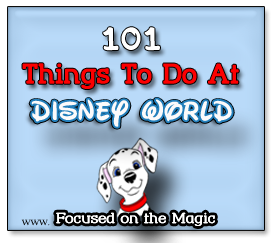 ► We'll be kicking off the summer with a new series of blog posts, 101 Things To Do At Disney World. In this series I'll be counting down to our fabulous fall trip by sharing 101 of my favorite things to do at WDW, from rides to restaurants. Well, that's all folks. I hope you all have a pixie dusted week.